I am originally from Xi’an (西安), a capital city of 11 ancient dynasties at China. 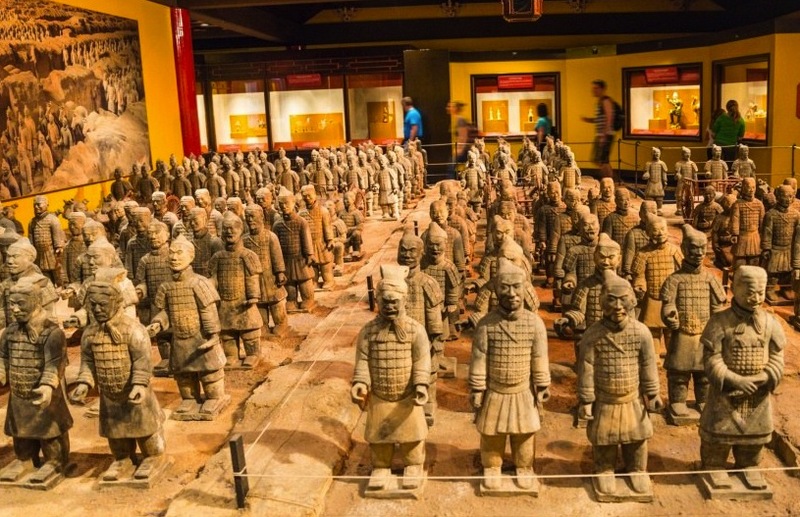 It is also the home to the famous Terra-cotta Soldiers (Qin Dynasty –221-206 B.C.). The old name of Xi’an was Chang’an （長安）, which means “long peace” in Chinese. It located at the ending point of ancient silk road, where merchants used to stop and exchange goods. As a result, it was flourishing through long history of China due to its advantageous location. Nowadays, Xi’an is still playing a critical role in technology, education, entertainment, arts and culture in Mainland China. Here is more information about my hometown – Xi’an China. About 20 years ago I flew all the way here, carrying a dream to build a brand new life. I started from ground zero, have gone through a series fluctuation of failures and successes, and eventually have stood up on my own feet. My rich experiences in the past helped to form current “ME”, a person embracing the Western and Oriental cultures together, and to bloom into vivid stories in many aspects as well. I have been learning and blogging since July 2013, with the support from my readers, I made significant progresses in shaping my blog site. As a result I am trying my best to help new bloggers to start up while I am continuously learning. I’ve nominated your blog for the Liebster Award. I Love your blog and writing and look forward to reading more posts. Follow this link on instructions for the award. http://cozyrosysweet.com/2014/05/04/liebster-award-thank-you-all/ Congratulations! I love the name “From Hiding to Blogging.” It encompasses so much about expressing one’s self on the internet. I look forward to reading more from you about your adventures and writing expression. Thanks for nominating me for this award. I will take a look at the details. I’m Polish and if I can, might I ask you a question? Do you have Polish ancestors? I have nominated you for the “Sisterhood of the world blogger Award” cause I really love your posts and feel that we share similar thoughts on some subjects. If you don’t get chance to do the whole post please leave answers of my questions in the comment. I would love to know more about you. You inspire me so much. Thank you. I love your yoga photos. I do yoga, but I’m not as limber as you!!! Hi Yan, I have nominated you for the 3 Day, 3 Quotes challenge. I hope you do play along I so enjoy your blog. I also will understand if you don’t participate in this kind of challenge. You have a wonderfully exciting site, and I will follow your journey. Thanks, looking forward to sharing. Hi Yan (our names sound similar :D), thank you for following my blog! I’m glad to discover your blog with rich chinese roots and very much looking forward to more of your posts. Yo have a wonderful site and I will follow your journey. Glad we can connect ! Your photos and travels inspire me. I will head back to Key West with spirit and vigor to capture the essence and beauty of landscape photography I have taken. Nice blog! do you publish many posts in both languages? I mostly write in English, once a while I write in traditional Chinese. Thanks for visiting my blog. Hi again, Yan – thank you so much for the follow! I will most certainly be back and read more about you and your travels! I am looking forward to reading something from you about my hometown – Xi’an! We’ll be back in Sweden by the beginning of November, and it will be interesting to write about it. Hopefully you will like it! Thanks, I have started following your blog as well, hope we can share more stories in the future. Thanks, glad we have connected. Thanks, have a nice trip to Xi’an! Lovely to meet you! What an impressive journey that you have undertaken. wouw.. Xian is lovely. Your stories is similar like mine. I have been moving around and living in several countries before I settle down in Copenhagen Denmark. Likewise, the experience has shaped me to be stronger and learn many things. Glad to find your blog.